Home Sports Neymar’s Paris Saint-Germain salary leaked, See Full Details Here! 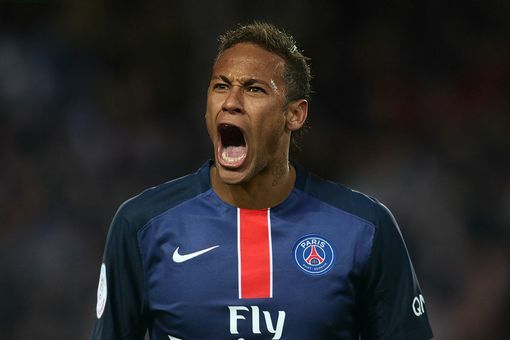 Neymar’s Paris Saint-Germain salary leaked, See Full Details Here! After securing a world record transfer of 222-million-euro to become the world’s most expensive player, details of Neymar’s wages at PSG has been leaked. According to whistleblower portal, Football Leaks, the young Brazilian will earn a whopping 37 million euros a year which does not include bonuses. The break down in wages means he will earn 3,069,520 euros a month which translates into some 4,000 euros an hour. If this report is true, then no wonder the pollster boy reportedly lives in a 5,000-square metre Paris mansion which cost him some 14,000 euros a month. Neymar da Silva Santos Júnior joined Barcelona from Santos in 2013 for a controversial transfer fee of €57.1 million on a five-year deal. The young Brazilian after four seasons will join PSG under another controversial circumstances after triggering the €222 million ($260 million) buyout clause in his contract. He has since played six competitive matches for PSG scoring five goals and providing five assists.